Elegant, extravagant, visionary… Successively columnist and fashion editor at Harper’s Bazaar, editor-in-chief at Vogue then consultant to the Costume institute of the Metropolitan Museum of Art in New York, Diana Vreeland has been one of the most influential people in XXth century fashion. 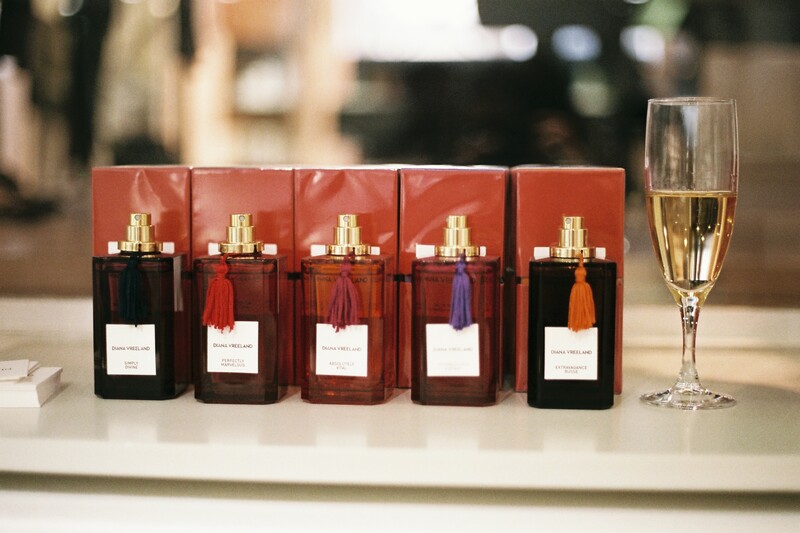 And although she passed away some 25 years ago, Diana Vreeland lends her name to a new brand of perfumes. 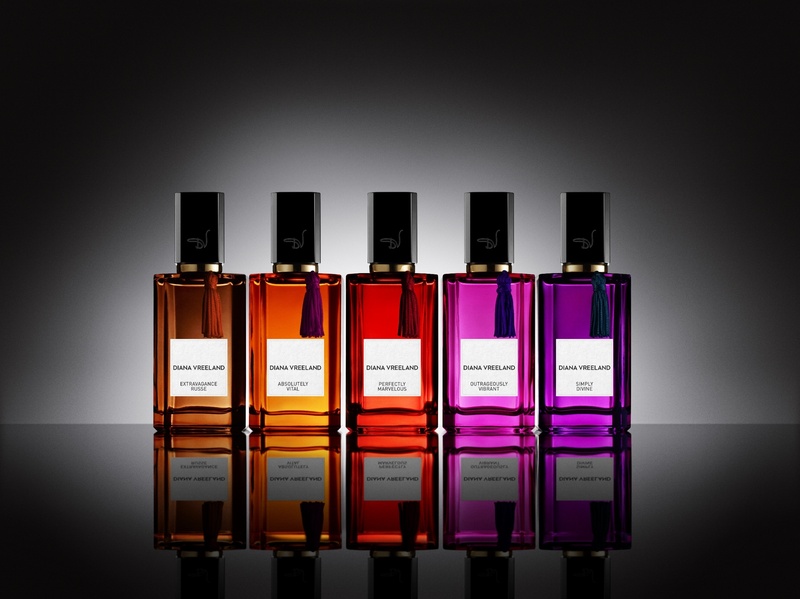 Her grandson, Alexander Vreeland, has worked with four IFF perfumers to create a line of five fragrances echoing, says the press release, “Mrs. Vreeland personality: theatrical, colourful, confident, intelligent and fun”. Perfectly Marvellous blends jasmine and a musky sandalwood base, Outrageously Vibrant if a fruity floral chypre whose notes smell as pink as the bottle, Simply Divine is a heady tuberose. The last two, Extravagance Russe, an ambery resinous oriental and Absolutely Vital, a light woody fragrance with hints of rose are the best in my opinion. Unless they are the least worse? Because, although these five fragrances are rather nice and balanced, one can only regret that Diana Vreeland’s personality, so decadent, so bold and so original, inspired these half-hearted fragrances, that make no real statement and probably could have been sold under any other name.